Diamonds are often desired in their colorless form but they also come in a variety of colors including brown, yellow, blue, red, green, black, pink, orange and purple. Innocence and purity, loyalty and strength, love and eternity. 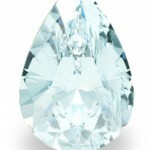 April’s birthstone, the diamond is known for being the most sought after gemstone of all time. Of course the most famous use of this stone is in gracing the engagement fingers of women everywhere. 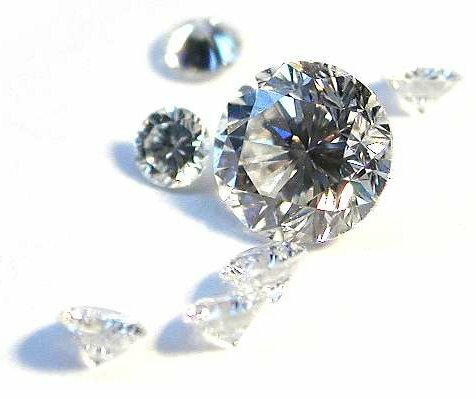 One of the hardest known substances, diamonds are the crystalline formation of carbon and are extremely durable and they have been used for centuries in jewelry of all kinds, most especially as a symbol of enduring love. Due to its unparalleled beauty, hardness and clarity diamonds have long been considered to be symbolic of everlasting love, but that’s not the end of the story. Throughout history they have been thought to be magical entities unto themselves, they could not be cut and were not harmed by fire so what else could they be but magic? The ancient Greeks thought them to be the tears of a displeased god, and in Rome they were considered splinters of the stars themselves. The diamonds were used as a healing stone, to clear the body of any poisons, calming the patients and opening spiritual channels. Presently, when you think of a diamond the first thing to come to mind is an engagement ring, but this is not a modern idea. The first diamond symbol of impending matrimony was given in the 14th century in Austria, by an archduke. Over the centuries it has become the accepted stone for this purpose. Today the diamond is the birthstone of April, and the gemstone of the 60th wedding anniversary. The black diamond is the rarest of all the diamonds. It is not only considered to be rare because of its scarcity, but because it is formed differently than the traditional diamonds. Black diamonds are not formed as deeply underground as regular diamonds and are made of millions of crystals stuck together, whereas conventional diamonds have a single crystal compositions. They are also considerably older and are even harder to cut, the best way to cut a black diamond is with another. The word Diamond comes from old french ‘Diamant’ and Medieval Latin ‘Diamas’. These are a variation on the Latin ‘adamas’ and resulting ‘adamant’ which dictionary.com defines as “too hard to cut, break, or pierce.” and “a legendary stone of impenetrable hardness, formerly sometimes identified with the diamond”. A mineral with octaheral crystal habits and an isometric-hexoctahedral crystal system. It has a chemical formula of ‘C’ and it made up of carbon atoms. It has an adamantine luster and transparent to translucent characteristics. Its hardness is very high, at 10 on Mohs scale. Diamond has a specific gravity of approximately 3.52 and a high refractive index of 2.418. Although diamonds can be made in a laboratory, calling them synthetic can be very misleading. When you have a lab created diamond, it is still a diamond just not one that was mined out of the earth. They are created in the same way with lots of pressure and actual diamond material.